"Birthstone Charm Necklace Silver, I Love you to the Moon and Back, 4 Birthstones"
We are over the moon in love with this simple necklace. 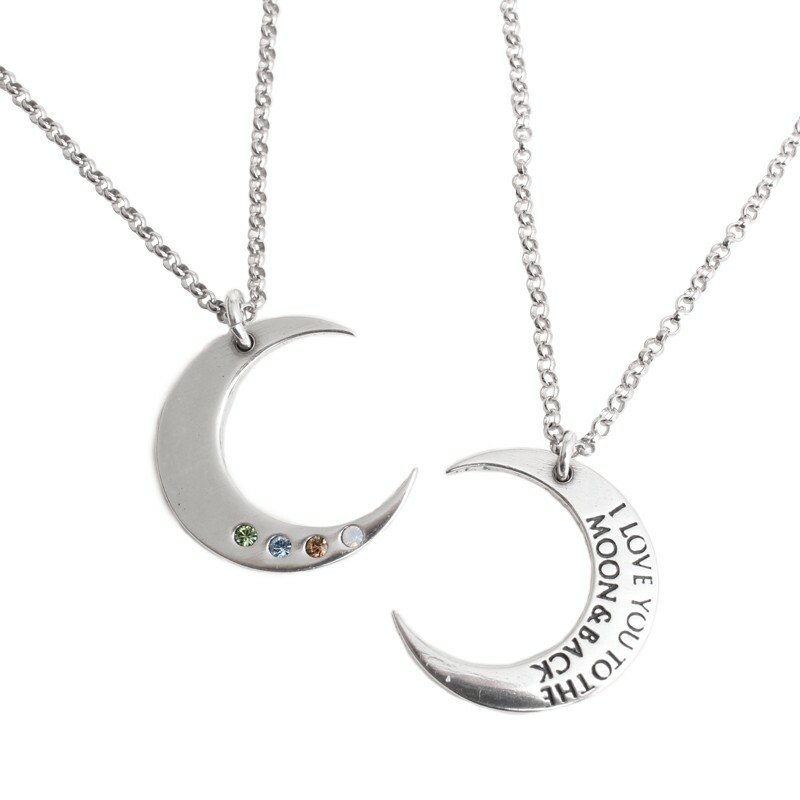 The sterling silver moon charm has "I Love you to the Moon and Back" stamped on the back and then holds 4 birthstones representing four kids, two parents and two children or four grandchildren! Back is stamped with "I love you to the moon and back"
The simplicity and message of this necklace is so clear ~ and beautiful. Keep the people you love to the moon and Back close to your heart at all times. Each birthstone can represent someone you love - your four kids/grandkids, the parents and 2 kids ~ you can even include pets! The above price includes 4 stones. The necklace is available in 16" and 18". Made of sterling silver and the birthstones are Swarovski crystals. All sales are final. Dimensions: Moon is approx. .75" x .7".